Applications are invited from eligible school students for the Science Summer School at Institute of Life Sciences (ILS), Bhubaneswar during May 6-10. 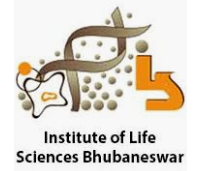 Institute of Life Sciences is an autonomous institute of higher education for research and education in life sciences in Bhubaneswar, Odisha. It was established by the Government of Odisha in 1989. ILS has a broad vision of carrying out high-quality multidisciplinary research in the area of life sciences. Exposure to the research environment. Students from Class 9th to 12th. Participants have to pay INR 3000 by demand draft/cheque/bank transfer in favor of The Director, Institute of Life Sciences, Bhubaneswar by 30th April. The fee would cover breakfast, lunch, evening snacks and course-related expenses. on payment at the Institute’s Guest House. Please fill the registration form and email it to scienceoutreach[at]ils.res.in on or before April 22, 2019. The number of places in the summer school is limited to 30. Last date of application: April 22. Selected participants will be informed by: April 24. Fee payment deadline: April 30. For the application form and further information, click here.